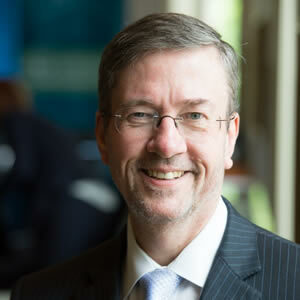 Dr. Daniel S. Hamilton is the Austrian Marshall Plan Foundation Professor and directs the Foreign Policy Institute’s “The United States, Europe, and World Order” Program at Johns Hopkins SAIS. He was the Founding Director of the Center for Transatlantic Relations at the Paul H. Nitze School of Advanced International Studies (SAIS), Johns Hopkins University, named consistently in annual peer-reviewed surveys conducted by the University of Pennsylvania as the #1 university-affiliated think tank in Washington, DC and among the top 10 in the world. For fifteen years he also served as Executive Director of the American Consortium for EU Studies, designated by the European Commission as the EU Center of Excellence Washington, DC. Dr. Hamilton is the Director of the Atlantic Basin Initiative, a network of African, European, South, Central and North American Eminent Persons, research institutes and private sector leaders that explores the changing dynamics among the four continents of the Atlantic Basin with regard to energy, economic growth and human development, values and security. He is a leading member of the Jean Monnet Network on Atlantic Studies and a member of the advisory board of the Atlantic Dialogues, sponsored by the OCP Center in Morocco. He has held a variety of senior positions in the U.S. Department of State, including Deputy Assistant Secretary for European Affairs, responsible for NATO, OSCE and transatlantic security issues, Nordic-Baltic and Balkan Affairs; U.S. Special Coordinator for Southeast European Stabilization; Associate Director of the Policy Planning Staff for two U.S. Secretaries of State; Director for Policy in the Bureau of European Affairs; and Senior Policy Advisor to the U.S. Ambassador and U.S. Embassy in Germany. 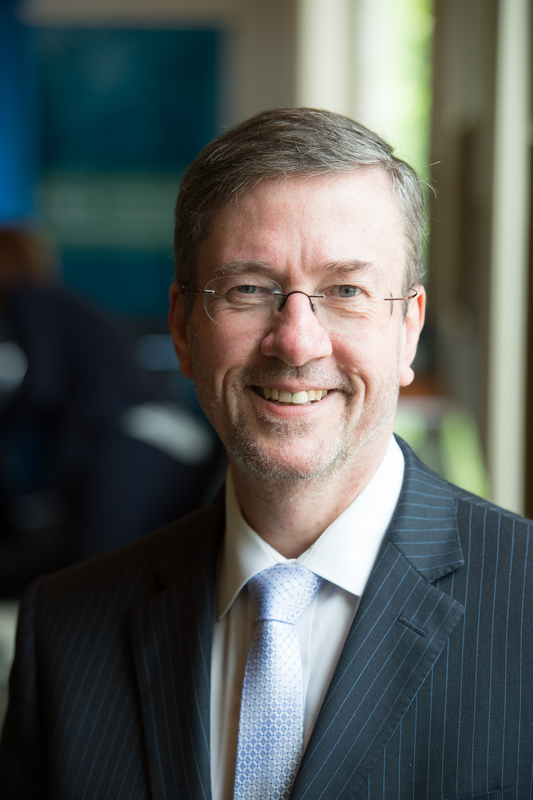 He also led international policy work for the Johns Hopkins-led National Center for the Study of Preparedness and Catastrophic Event Response (PACER), named as one of 5 U.S. National Centers of Excellence by the U.S. Department of Homeland Security. In 2008 he served as the first Robert Bosch Foundation Senior Diplomatic Fellow in the German Foreign Office, where he worked in the Planning Staff for Foreign Minister (and now President) Frank-Walter Steinmeier. In 2012 he was a member of German Chancellor Angela Merkel’s ‘Futures Advisory Group’. In 2013 he served as a Richard von Weizsäcker Fellow at the Robert Bosch Academy in Berlin. Dr. Hamilton is a member and former chair of the selection committee for the Robert Bosch Stiftung Fellows program bringing young American professionals to Germany. He has been a Member of the Academic Advisory Boards for the Stiftung Wissenschaft und Politik (SWP), the Körber Foundation, the Alexander von Humboldt Foundation, and the Heinrich Böll Foundation, and Member of the Board of Advisors to the European-American Business Council, the Center for European Policy Analysis, the Prague Center for Transatlantic Relations, the Bratislava Center for European and North Atlantic Affairs, and the Center for International Relations in Warsaw. He is a member of the editorial board of the Review of Central and East European Law and has served as Editorial Board Member for the Council on European Studies; the journal Biosecurity and Bioterrorism; and the Danish Foreign Policy Yearbook. He has served as a consultant to Microsoft, the U.S. Business Roundtable, the Transatlantic Business Dialogue, the National Geographic Society, and RAND. From 2007-2009 he served at the invitation of the EU Commissioner for Trade to be the sole U.S. member of the Steering Committee of a major study of non-tariff barriers to transatlantic commerce. Dr. Hamilton testifies regularly before the U.S. Congress and European parliaments, and is a regular commentator for European and U.S. media. He served as host of The Washington Post/Newsweek International’s online discussion feature Next Europe and as faculty mentor for The Atlantic magazine’s content partnership with SAIS. Since 2005 he has coordinated a network of German, U.S. and, since 2017, Chinese media editors, together with the Robert Bosch Foundation. Dr. Hamilton has also taught graduate courses in U.S. foreign policy and U.S.-European relations at the Hertie School of Governance in Berlin, the University of Innsbruck and the Free University of Berlin. In 2001 he was the DaimlerChrysler Fellow at the Johns Hopkins University’s American Institute of Contemporary German Studies. From 1990-1993 he was Senior Associate at the Carnegie Endowment for International Peace, where he served as Coordinator for two national commissions on the future of U.S. foreign policy. From 1982-1990 he served as Deputy Director of the Aspen Institute Berlin. From 1979-1982 he was a Program Officer and Washington, DC Liaison Officer for the Chicago Council on Foreign Relations. In the summer months he serves as Dean of Waldsee German Language Village, the oldest and largest residential immersion program in German language and Austrian, German and Swiss cultures in North America, sponsored by Concordia Language Villages (CLV), a program of Concordia College, Moorhead, Minnesota. Dr. Hamilton has authored over 100 books and articles on contemporary European, transatlantic and international affairs. His book Rule Makers or Rule Takers? Exploring the Transatlantic Trade and Investment Partnership, edited with Jacques Pelkmans, was named the Top Go-to Think Tank Policy Book of the year in 2015 by the University of Pennsylvania annual rankings. Recent publications include The Transatlantic Economy (annual editions, 2004-2019), Turkey in the North Atlantic Marketplace (2018); Creating a North Atlantic Marketplace for Jobs and Growth (2018); Domestic Determinants of Foreign Policy in the European Union and the United States (2018); The Transatlantic Digital Economy (2017); The Russia File: Russia and the West in an Unordered World(2017); Eastern Voices: Europe’s East Face an Unsettled West (2017); Forward Resilience (2016); The Eastern Question: Russia, the West and Europe’s Grey Zone (2016); Alliance Revitalized: NATO for a New Era (2016); The Geopolitics of TTIP (2014); Global Flow Security (2015); Advancing U.S.-Nordic-Baltic Security Cooperation (2014); Atlantic Rising: The Changing Commercial Dynamics of the Atlantic Basin (2014); Dark Networks: Evolving Security Challenges in the Atlantic Basin (2014); Open Ukraine: Changing Course Towards a European Future (2012); Unfinished Business: The Western Balkans and the International Community (2012); Europe’s Economic Crisis(2012); Transatlantic 2020: A Tale of Four Futures (2012); Preventing Conflict, Managing Crisis: European and American Perspectives (2011); Europe 2020: Competitive or Complacent? (2011); Shoulder to Shoulder: Forging a Strategic U.S.-EU Partnership (2010); Alliance Reborn: An Atlantic Compact for the 21st Century (2009) by the Washington NATO Project; and ). He has been presented with Germany’s Cross of the Federal Order of Merit (Bundesverdienstkreuz); France’s Knighthood of the Ordre des Palmes Académiques; Sweden’s Knighthood of the Royal Order of the Polar Star; the Transatlantic Business Award 2006 from the American Chamber of Commerce to the European Union, and the Transatlantic Leadership Award 2007 from the European-American Business Council. He holds the State Department’s Superior Honor Award. He is a member of the Council on Foreign Relations and the American Council on Germany. He has a Ph.D. and M.A. with distinction from the Johns Hopkins School of Advanced International Studies and an honorary doctorate from Concordia College. He received his undergraduate degree from Georgetown University’s School of Foreign Service.